Yesterday we decided to take a drive. It’s an old-fashioned idea, I know. My dad used to take us on a drive on Sundays. We’d all climb into the back seat of his car (sometimes with the top down) and, though there was always some “Mom, he’s over the line” bickering, off we’d go. Once I recall my brother letting go of a cloth diaper when the convertible top was down. Not sure how he survived that one! Anyway, I’ve wandered from my purpose here. Yesterday we decided to take a drive. We had a slow, lazy start to the day with coffee on the front porch and then packed up the dogs and headed to Bath. Part of why I love to visit Halcyon Yarns is because it’s not just a knitting shop. I can while away hours imagining learning all the crafts that they carry the stuff for – needle felting, spinning, rug hooking, tatting, weaving, and crochet. I’ve probably missed a few. Aisles and aisles of fiber from warp (or is it weft?) to cotton, and wool and alpaca and silk threads and many different weights of each. Some are actually Halcyon yarns and some are from well-known companies like Noro and Cascade. And a room full of pattern books and mugs and yarn bowls and … well, you get my drift. Two skeins of Noro Taiyo Sock yarn (in Color S17-D) for another (more colorful) Bermuda Shawl. And, yes, the two skeins are the same colorway! I can’t wait to start knitting with this yarn! One skein of Noro Taiyo (Color 35-A which was on sale) for a knitted lamb from the new Noro (Spring/Summer) Magazine. I also bought the magazine. I bought a hank of Halcyon’s Gemstone Soft Twist Silk in a silver color (not sure what the gemstone is … diamond? I like diamonds!) 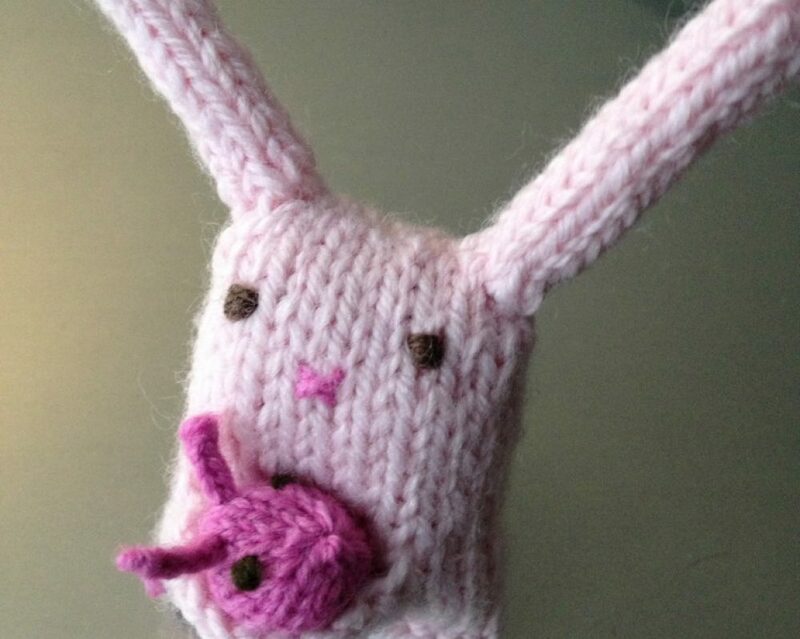 This is to knit a necklace that I saw online … on Facebook, if my memory serves. And last, a ball of Indulgence 6-ply (also on sale) Sock Yarn with which I’ll make socks. I just loved the colors in the yarn (and it’s really soft, too.) The sample that was on the table was a tubular scarf knitted in all of the different colorways … I almost bought one of each. Almost. Halcyon also has a bunch of wonderful-sounding classes available if you’re looking to take one! And the people who work there are very friendly and helpful … if you don’t mind wandering aimlessly, you can do it for hours at Halcyon Yarn! You’re going to enjoy the ever-changing samples at Halcyon, too! I saw no fewer than three sweaters that I would like to knit. Too bad I brought three projects with me from Florida! And while you’re visiting Bath, it’s worth your while to visit the Bath Iron Works and the Maine Maritime Museum. For $27 (adults) you’ll get admission to both a 1-hour tour of the place where our US naval warships are being built. Some are so super secret that you’re not allowed to take photographs! Really fascinating! You can also visit Popham Beach (beware, the water in Maine is wicked cold!) and Reid State Park. Parks, new things to learn and fiber. Just a few of the reasons that I return to the area every year! It took me awhile, when I started knitting, to figure out just what blocking means. There are a few (maybe several) terms that knitters use regularly that are not really clear to those who are new to the craft. So, I’m going to try to give a general description of two often-used blocking techniques – wet blocking and steam blocking. Blocked Shawl – wool. Wet blocked. Close up of what happens to garments when blocked – the lacy details just come alive! For most sturdy fibers, I like to wet block. Wool is a sturdy fiber (and if it has a little bit of man-made fiber blended in, it’s still sturdy enough). I would also suggest wet blocking linen garments. I’ve read that some people “whap” their linen once soaked … sounds violent to me but I know it does get “softer” when washed a couple of times. To wet block a garment, you want to immerse the garment completely in cool water mixed with a little bit of wool wash like Eucalan or Soak. Gently lift your garment out of the water and gently squeeze the extra water out. Never (NEVER) wring hand-knit garments. I usually put the garment on a clean bath towel, roll it up and then press gently to get even more water out of the garment. Then lay it flat on a blocking board or a new clean towel on your guest room bed. Or on an infrequently traveled area of wall-to-wall carpet. Gently pull the garment to the right shape and measurements and let it dry. It may take a couple of days. An alternate method is to steam block. I set my garment on a clean bath towel and with my steam iron set to the steam setting, Pin the garment into the shape/size that you want it to be. I hold the iron over (without touching) the garment and give it a jolt of steam or two or three. The heat and moisture will relax the fibers enough to make it possible to give it a little bit of adjustment. Let it dry completely. (Another way I’ve heard some people steam block is by using a wet (clean) pillow case on top of the garment and putting the iron onto the pillow, pushing the steam button, until the pillow case is dry. This is a gentler method than wet blocking and you should get the same result. Note: If your garment is made of hand-dyed wool, and the color isn’t “fixed” and you see dye in the water when wet blocking, you can also add a little bit of white vinegar (a cap-full or two) which should help “fix” the dye. If color is bleeding, keep rinsing with cool water until the water runs mostly clear. The last method that I want to discuss is spritz blocking. If using this method (which is good for any fibers you have doubts about soaking in water or steaming with an iron … in my house that’s alpaca, silk, mohair, cashmere and anything I’m not sure of … I pin it into shape and then spritz it with a plant sprayer. Make sure the sprayer is clean (hasn’t been used for cleaning chemicals or anything) and filled with water and just spritz the garment until it’s moderately damp. Leave it there until it’s dry. There you have it. A primer, if you will, on blocking. I hope this helps!